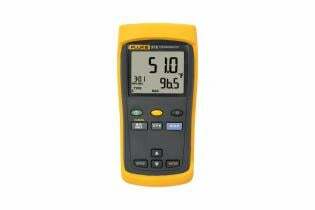 54 II B Data Logging Thermometer with Dual Input is rated 3.5 out of 5 by 4. Rated 4 out of 5 by Dehumidifier from Good relyable performance We use many of these within the facility and field service for many years. 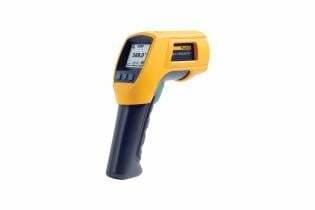 They remain calibrated and can withstand a variety of applications. Only issues are the corners of the screens crack when dropped, sockets for t-couples do not make consistent contact, and unit is not water resistant. 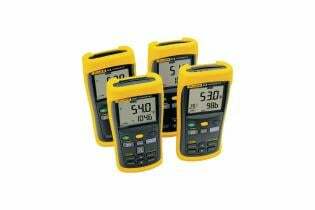 Rated 4 out of 5 by Louis B from Very Dependable tool I purchased 4 Temp Meters for my plant It work well and very dependable. Great price and does what it was designed to do. I would definitely repurchase FLUKE brans products again. 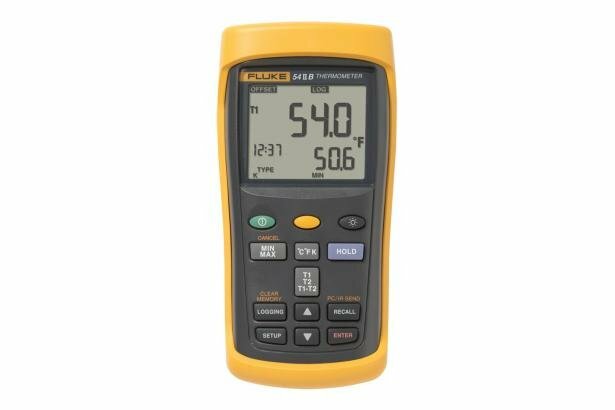 I would also recommend FLUKE to my co-workers and friends. Rated 3 out of 5 by Chemist from seems to work well but not complete I just purchased this item. It seems to work well but the features are difficult to find on the display. 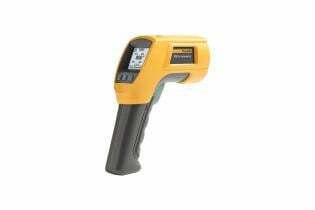 Also, I bought it from McMaster carr and it didn't come with the IR device to get the data off of it nor did it come with the software so I am not sure why the additional memory/feature to store 500 data points cost me 250 bucks more because I cannot gain access to the data.